A federal appeals court has rejected a challenge to an environmental assessment of a $100 million construction subsidy for an ethanol plant in Michigan’s Upper Peninsula. The U.S. Department of Energy (DOE) had assessed the project’s implications for forest resources, wetlands and air quality. That review “adequately supported its finding that the plant would not have significant impact on the environment,” the 6th Circuit Court of Appeals ruled. But the court decision may prove to be a Phyrric victory because the project has stalled, perhaps permanently, because of changing circumstances, including withdrawal of the lead private investor and elimination of a federal mandate for cellulosic ethanol — ethanol made from wood projects. “The project fell through,” said Sheila Gaines, the clerk of Kinross Township where the plant was to be built. The environmental controversy stems from an application by Frontier Renewable Resources for DOE funding for a plant to convert hardwood timber into ethanol. The money would come from a federal program that subsidizes renewable energy projects. The program supports “biorefinery demonstration projects” to encourage DOE “to work with industry to develop ways to convert trees, crops and agricultural waste into energy,” the court said. The biorefinery was to use 770 tons of wood chips daily as “feedstock” to produce 20 million gallons of what is known as cellulosic ethanol annually. It was designed to enable future expansion and potentially double its ethanol production. DOE drafted an environmental assessment, solicited public comments and issued a final assessment in 2011 that suggested several changes in plant operations, including a biomass boiler instead of natural gas boilers to generate power to run the facility. Its report of more than 400 pages found “no significant impact” on the environment and promised a grant of about $100 million, about one-third of the construction cost, the court said. As a result, DOE determined that it didn’t need to prepare a full environmental impact statement. The suit was filed by Larry Klein, who lives near the site and contends that pollution from the plant would harm his health, and the Sierra Club. It contends that DOE didn’t follow the National Environmental Policy Act in conducting its assessment. Under that law, federal agencies must study environmental impacts of “major federal actions significantly affecting the quality of the human environment” in consultation with state and local agencies and the public. A lower-court judge dismissed the case without trial. In taking a “hard look” at the project for the environmental assessment, the court said DOE consulted the U.S. Fish and Wildlife Service, the Michigan Department of Transportation and the Inter-Tribal Council of Michigan. But Sierra Club forest ecologist Marvin Roberson called the promised federal grant “a boondoggle then and it’s even more of a boondoggle now. “It takes so much wood that we thought it was a lousy use of our forest resources,” said Roberson, who is based in Marquette County. “It’s not just an environmental issue or just an economic issue. Are we going to use a whole boatload of our resources and produce very little energy?” he said. He also said the Sierra Club doesn’t oppose all biomass projects but feels “that wood-to-ethanol or wood-to electricity from standing live timber is generally a bad idea.” The organization supported a facility in Grayling, Mich., that converts woodchips and sawdust to electricity because those materials would otherwise be landfilled. .
DEQ will require Frontier to submit a soil erosion and sedimentation control plan incorporating “best management practices” to obtain a construction permit. “In the end, the assessment concluded that the environmental impacts from the plant would be minimal in the short term and that, once the plant’s operations end, it could safely be decommissioned and the area returned to its pre-plant state,” the court said. It rejected the challengers’ arguments that DOE inadequately considered other alternatives, such as different sites and supply systems for the plant. MEDC’s Shore said his agency had awarded the project a $20 million Centers of Energy Excellence grant through the state’s 21st Century Jobs Fund. Roberson said the Sierra Club doesn’t comment on potential litigation or appeals but said the new appeals court decision raises the issue of how little environmental assessment for projects is necessary under federal law. It is almost by sheer luck that this destructive ethanol plant is not being constructed. It is pure folly and ignorance for the State of Michigan and the federal government to provide corporate welfare for these types of projects which clearly waste our natural resources. There is no common sense in those who promote such waste and corporate welfare. 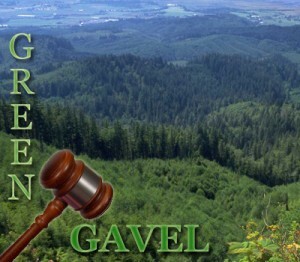 Three cheers to Larry Klein and the Sierra Club for filing suit against this project. Boo-hiss to the “politicians with law degrees” who served as the ignorant judges.